Close your eyes and think of Pinot Grigio. Are you thinking of Italy? 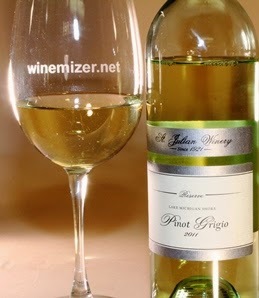 Are you thinking of a great value, yummy-delicious Italian Pinot Grigio with a short, very un-Italian sounding name, or of another from there that (my opinion) is both overpriced and disappointing? Both shall go un-named here. But I’d bet that in the process of that exercise, you didn’t think once of Paw Paw Michigan. 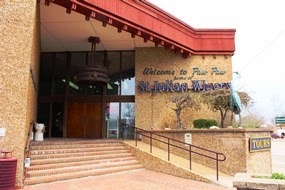 My first experience with this winery was at their tasting room in Union Pier located in Southwest Michigan in the designated Lake Michigan Shore AVA. 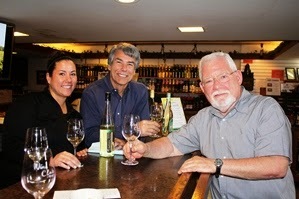 I was so impressed, I subsequently visited the winery in Paw Paw. 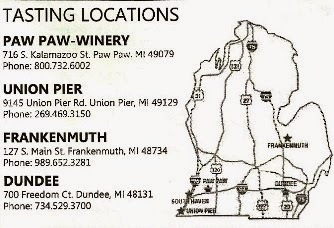 Other tasting rooms are located in Frankenmuth and Dundee to the East. 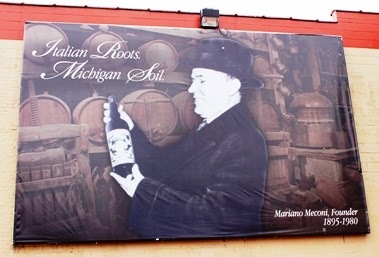 What attracted me was their signage reading, “Italian Roots. Michigan Soil.” The attraction proved fatal and I’ve been a fan ever since. it’s also lush in the mouth, a contribution of the Traminette, yet finishes clean with an excellent fruit to acid balance. Together, these grapes create a most enjoyable sweet/tart interplay on the palette; a push-pull of flavors collecting in the pocket mid tongue, then developing while yet teasing for replenishment. Quite simply, this wine is fun. To keep it fresh, grapes are collected in the cool, early morning hours. Skin contact is limited and the juice sees no wood. Fermentation and aging is within temperature controlled stainless steel tanks. No malolactic fermentation is allowed. The result is a wine that is fresh, fragrant, floral and fun --- and meant to be enjoyed young. As with most “finds,” the tendency is to put off opening the last bottle so that you’ll always have one available. But I’ve tasted several vintages and found this wine to be consistently pleasing. well with roast fowl and seasonal vegetables, or baked macaroni with Fontina cheese and béchamel sauce. Its sweet / tart interplay lends itself also to enjoyment with some desserts at the end of a meal. But as the cold weather here begins to give way to spring breezes, I’m thinking of carefree hours spent outdoors by a lake at a picnic table with sandwich in the basket and this wine in the glass. Follow Wine Mizer on FaceBook for mini-reviews of wine, fun facts and info, recipes and more.